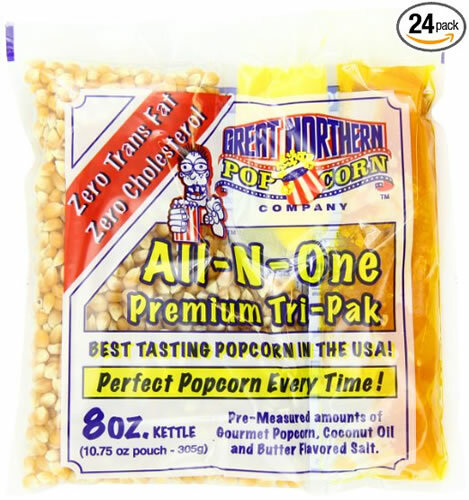 Case of (24) 8 Ounce Popcorn Portion Packs. How easy is open, pour & pop? As easy as it sounds. Don’t worry about how the popcorn will taste–we guarantee it will be great. No matter who is popping, every batch is sensational popcorn. If you just purchased one our new popcorn machines or are looking for that great theater taste in your existing machine, stop looking! This is great tasting, high-volume popcorn that pops up fluffy time and time again. We truly believe it is the best popcorn in the USA.